CONDITION REPORT: Mint condition, unpolished case and nice cream patina. The rusted spring bars have been removed and replaced since the photos were taken. 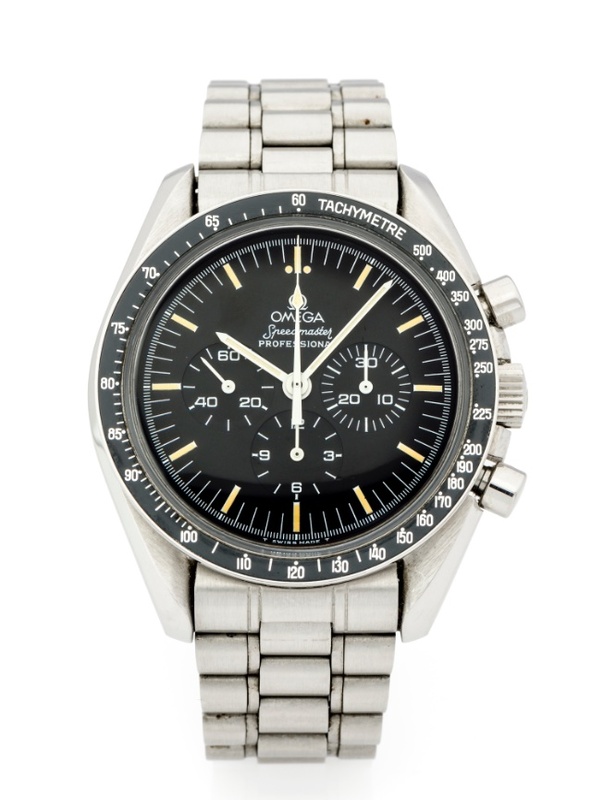 NOTES: According to the Omega Museum, the present watch was produced in 1991 and delivered to Singapore. This watch comes complete with its box and stamped warranty card.